Recycling is important and one of the best ways to have a positive impact in the world we live in. We must act fast as the amount of waste we are creating is increasing all the time. This is due to many factors, such as an increase in wealth meaning people are buying more products and therefore creating more waste. The population is increasing all over the world so more people create more waste. People’s lifestyles are also changing; people are eating out more in fast food chains and in turn creating more waste. Waste and rubbish has such a major negative impact on our world and natural environment. Harmful chemicals and greenhouse gases are released from all our rubbish that is sent to landfill sites. Recycling helps to reduce the pollution caused by this waste. Habitat destruction and global warming are just some of the effects caused by deforestation. Recycling reduces the need for raw material so the rainforest can be preserved. A huge amount of energy is used when making products from raw material. Recycling requires much less energy and therefore helps to preserve natural resources. So now we know how important it is to recycle, what better way to make it a part of our everyday life by involving our younger generation? Remembering what and when to recycle can sometimes be difficult so it’s really all about getting into a routine. Getting children involved early means that recycling becomes a way of life for them. Here are a few tips on how to keep children interested in recycling. If you are not taking the time to recycle yourself then why would your children? Set a good example and make an effort to sort, recycle or reuse in front of your little ones so they can see it in their everyday life. Never make it seem like a chore, as they will be less likely to want to do it. Set up all your recycling bins where young children can see them and in places where children can easily reach them. An early exposure to recycling will increase their curiosity and will also make it seem less like a chore and more like everyday life. Playing a game about recycling can be more fun than you think, the combination of colours, shapes and textures of materials can be a challenge that can be interesting and enjoyable, whilst having the benefits of learning a variety of things in the process. Children as young as three years old can enjoy the fun, so maybe create a game where you can match the correct material to the relevant bin – for example: cardboard/paper to the cardboard/paper bin and food waste to the food waste bin. Why not reward your child when they do a good job, like making the bed, putting their clothes in the wash bin, it’s good to encourage and reward your child when they participate in recycling. All children love a treat so why not reward them with an ice cream or gold star for them to put in their good behaviour book, they will learn from this and learn from it as a positive approach to life skills. Kids love to be creative and enjoy painting and colouring in. So why not get them to decorate your recycling bins with their own personal touch? Kid’s will see the importance of segregating waste and reducing mixed waste to landfill – plus spending a rainy day doing something creative and fun can be good entertainment and keep them busy. A trip down to your local recycling centre is a great way to get your kids interested in the way recycling works. Show them around the facility and where each separate waste material goes. Why not get them to ask questions and this will ignite their enthusiasm and interest in keeping green and doing something positive to save their planet. Reading books and watching documentaries can be a good way to enhance their interest in the subject. Don’t forget, for everything you can’t re-use or recycle there’s always Away With It. Contact us today for a competitive waste removal quote and convenient same day service for all your house clearance and garden waste removal needs. Christmas junk is a perennial problem. Recycling is important all year round, but at Christmas there always seems to be more waste around than at any other time of year. So here are some handy tips to help you do your bit for the environment and have some fun with the kids by recycling and re-using as much of your Christmas junk as possible. There are always items lying around the house that can be turned into Christmas crafts instead of buying new. 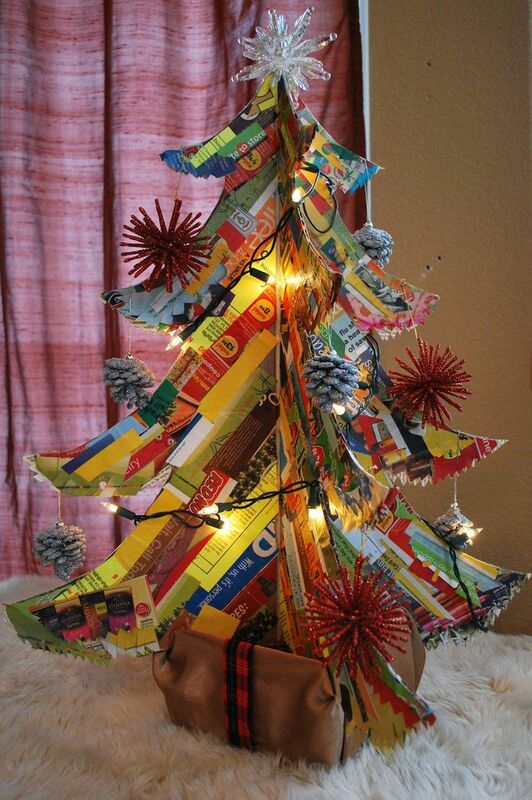 You can use plastic bottles, metal cans or pieces of scrap paper and it can all be turned into that unique Christmas decoration that no one else has! For example, you could make a miniature Christmas tree out of old wine corks or pieces of home décor out of old Christmas cards! Like newspaper, wrapping paper is great for cleaning windows and leaving them streak free! Children can cut out the fun and festive figures on wrapping paper and use them to decorate an old notebook or school book. Save any pretty Christmas cards and cut out the designs to use as gift tags for next year. Cut the longer strips along Christmas cards so they can be used as handy bookmarks. It’s the day after Boxing Day, and all everyone has been eating is Christmas dinners! Why not try spicing up your leftover turkey and making a curry for a change. Smaller bits of turkey could also be put into a risotto as a tasty alternative to chicken. Or try some of these delicious recipes from BBC Good Food. Once Christmas is over, strip the needles from their branches and put them into pots to use as a natural Christmas pine smell! However, not everything can be reused or recycled so for anything else, Away With It are here to help. We provide a cost effective house clearance and waste removal service in Essex and London areas. Our reliable two man waste removal team can clear all your unwanted or left over Christmas items. We take all the old toys that have now been replaced by new ones, old clothes, Christmas trees, in fact we are experts in junk removal. Don’t forget, not only do we remove all your junk with our house clearance service, we also offer garden clearance, garage clearance, loft clearance and shed clearance making sure your entire house is clutter free for Christmas! 88% of all the items we take are recycled meaning that less goes to landfill, our contribution to recycling for Christmas and all year around! It was only a decade or so ago that we saw many business owners dump rubbish outside their premises and on street curbs, waiting to be collected by local bin collectors and treasure seekers. As times have changed, so has the process of waste disposal. With rising pollution levels and growing recycling concerns, it is now more important than ever before to dispose of unwanted items with licensed builder’s rubbish removal. Numerous companies around the UK will offer these services, which will not only prevent you from getting fined for fly-tipping but also, will relieve you of the hassle associated with transporting bulky items. 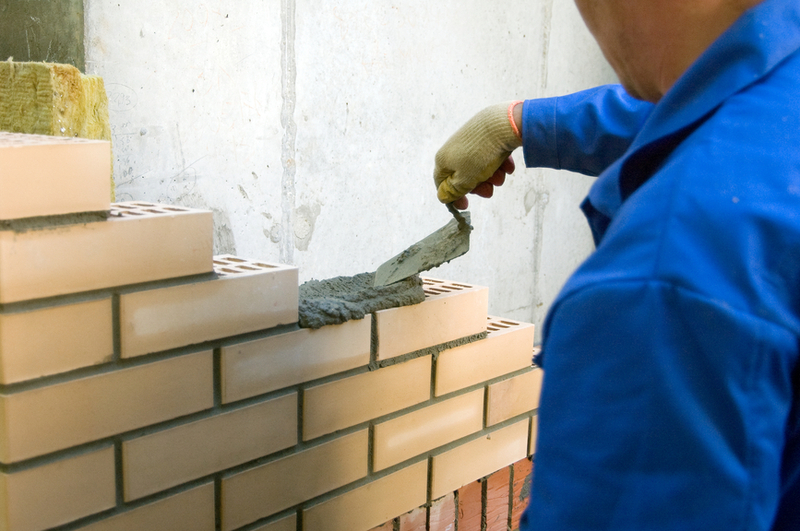 So how do you go about finding a reliable builders rubbish removal service in your local area? What Businesses Require Rubbish Removal? Commercial waste collection is a service that is much higher in demand than domestic waste collection, because businesses tend to accumulate more waste than homeowners. Premises that are used mainly for business or trade purposes will become dangerous when industrial and agricultural waste gathers. All business owners are expected to organise for the collection of waste as a duty of care. Failure to do so could result in legal action being taken against the company so to sum up, every business requires rubbish removal! Smaller shops can consider their rubbish as municipal waste, which will be dealt with by local authorities. Understanding what waste you are producing at your business is important, due to the fact that it has a serious impact on the environment. Check out the Renewable Energy Association‘s website to find out what rubbish removal companies are members. Set aside some time to compare the cost of commercial waste collection services ahead of hiring a company. Price will be affected by a few factors, such as where you are located, how much waste needs to be collected and the type of rubbish. The majority of rubbish removal and recycling companies will provide their customers with free estimates and the more specific you are when describing what needs to be done, the more accurate you can expect this estimate to be. Greenhouse gases, also known as GHG’s, will be produced when waste is disposed of, which is why rates will increase based on volume. Does the Company Offer Recycling Services? This is a question you really need to ask the rubbish removal company because if they don’t take unwanted items and materials to a waste management facility, your carbon footprint will grow. How, you ask? Well, materials that are not recycled will be dumped on landfills, resulting in rising pollution levels. When recycling services are offered you can gain peace of mind that energy is being saved, because recycling eliminates the need to use raw natural resources for the manufacturing of everyday things. If you were to load and unload waste without professional assistance, you may be required to obtain a permit. Waste management, collection and disposal can cause a public health and safety hazard, and will only be permitted for 40 minutes on single and double yellow lines. This is why it is advisable to hire professional help. Waste can be collected at a destination that is suitable for you when you pay for rubbish removal services, so there is no need to worry about potential business disruptions. Waste generation is an ever-growing problem around the United Kingdom, with over 200 million tonnes being produced back in 2012. If each and every one of us on this planet learns how to bin rubbish properly, precious resources and materials can be conserved, health hazards avoided and landfill leachate reduced. A lot of homeowners aren’t aware of the fact that they could be fined for fly-tipping following a clear-out. In fact, you could be up to £5,000 out of pocket if you don’t dispose of waste correctly! For this reason, it is worth hiring help from a house clearance company. Despite the fact that house clearance professionals will take the control and get everything sorted on your behalf, it’s essential that you enlighten yourself about these services, so that you know what you are paying for. Prior to handing over your money for waste management assistance, read the following frequently asked questions to make an informed decision. Should I Hire An Insured Company? The answer to this question is an almighty yes! Unless the people you work with are insured to transfer waste away from your premises, you will be facing many risks. Public liability insurance protects you, as well as the house and garage clearance specialists, in the event that claims are made against you for property damage or injuries. You could end up dealing with exorbitant fees unless you work with an insured company, so ask to see proof of insurance before waste removal commences. Why Do I Need to Find Registered Waste Carriers? Finding waste carriers who are registered is just as important as finding waste carriers who hold insurance. A garage and house clearance worker will need to be registered with the local Environment Agency in order to legally collect and move waste, whether it is bricks, rubble or glass bottles. Registration requirements will vary based on location, so get in touch with your local government agency for advice. What Does House Clearance Involve? As soon as you contact the company you wish to work with, you will need to tell them where you want the waste to be collected from and when. Once they have an available slot they will arrive at your destination and safely remove waste within 2-3 hours. If the clearance is expected to be fairly big, the house clearance specialists will likely use trucks to shift the waste. You will be doing your bit for the environment when you collaborate with a registered waste removal company, because they will take the contents of your house or garage to a Waste and Recycling Management site. Here, it will be sorted into piles and if it has reusable or recyclable potential, it will be transformed into something new. In many cases, items will be donated to charities and rescue centres, so you can feel good about having a clear out. Is Accident and Injury Insurance Important? This form of insurance is essential, because who knows when a mishap might occur? You wouldn’t want to be left footing hospital bills, therefore you shouldn’t cut corners and hire house clearance workers who don’t have accident and injury insurance coverage. This insurance will cover everything, from minor injuries to loss of sight. Is house clearance on your agenda this Spring? 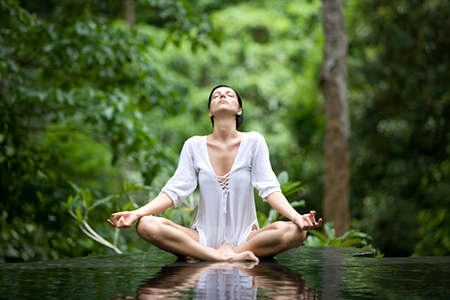 to clean, less to organise which equals less stress and leaving you more energy to enjoy life! 2. Dispose of one item every day. 3. Fill one black bin liner every week with all your unwanted items. 4. Pick a shelf and ask do you really need everything there? 5. Make a list of all the areas in your house that need organising and stick to it! hand in house clearance for over ten years! Not everyone has the time or energy to sort their house from top to bottom. but they can also help with bagging up your unwanted possessions. house clearance. We even sweep up after! know what valuable items you might find hiding in your loft or garage that you forgot about! With It a call today. Over the long winter months our poor gardens are under strain from adverse weather and subsequent neglect and when it comes to summer they can be overgrown and littered with rubbish and debris. Make your garden an enjoyable and relaxing space to be by taking some time to neaten everything up and disposing of any rubbish. From raking leaves, mowing the grass to cutting back hedges, give your garden some care and attention to get it back into ship shape order for the upcoming months. Gardens can often turn into a run-down space full of rubbish and disused items such as old boxes, garden furniture or even to an old dishevelled trampoline. Make your garden a tranquil space to enjoy the sun, have barbeques and be safe for the children to play in by using garden clearance and disposing of every eyesore that does nothing but take up space. If you have a shed, garage or outbuilding full of old junk, have a clear out and you can create an amazing space for the summer months relating to a particular hobby or past time, or as extra space for the kids to play. A shed doesn’t have to just be for forgotten storage, make use of garden clearance and garage clearance to make the most of your space and get creative! We are all well aware of the importance of recycling and your garden is a great way to do your bit for the environment. The vast majority of waste removed in your garden clearance is re-used or recycled, but it doesn’t stop there. Why not consider having a small compost heap to cut down on waste whilst helping your flowers to grow and thrive. Alternatively, with all your newly cleared space you could start a vegetable patch and by the summer be sampling your home grown goods in your revitalised lovely garden! Away With It deal with any garden clearance small or vast, with a skilled team and all the necessary equipment to leave your garden looking fresh and tidy, whilst recycling all they possibly can. If you would like to find out more or receive a free, no obligation quote about garage clearance or having your garden waste removed, call Away With It Waste Removal now on 0208 504 7390 or fill out our contact form and a member of our team will get back to you as soon as we can. Taking on a spring clean in your house can be a daunting prospect but is well worth it in the end. To help you out, we have put together some top tips to ease the stress and to help your house clearance go as smoothly as possible. When clearing out a room or even cleaning up, it can be easy to lose interest half way through and end up with something looking far worse and cluttered than when you started. To avoid added mess and partially completed tasks, make a plan of which rooms need some TLC and when you are going to tackle each one. Give yourself plenty of time and clear your schedule to ensure plain sailing and a swiftly completed job that minimises stress and leaves you with a peaceful and lovely room you are happy with ready for the upcoming summer months. To effectively give your house a spring clean, unfortunately it is first necessary to make lots more mess. Rooting through forgotten old items can be really hectic and even overwhelming depending on how much stuff you have! So the best house clearance advice we can give is to not take everything on at once. Take one room at a time and make sure you are happy with it before you move on to the next. Taking on too much can result in things simply being moved from room to room and you won’t get very far. Once you have rid a room of clutter you may find you have lots more space. Changing a room around will make the room feel new and refreshed, giving it a new lease of life without having to spend lots of money on redecorating. It may also be a chance to get rid of furniture you no longer need. It is unbelievably easy to accumulate mounds of unwanted junk that gets tucked away in a cupboard and forgotten about. When conducting a spring clean, be bold, be ruthless and make the decision of what you want to keep or throw away. Whether you make piles, use post-it notes or a traffic light system, divide everything into categories of things you definitely want to keep, things you could sell or perhaps donate to charity and things you no longer need and wish to dispose of. Your space is precious, so only keep the things you feel are valuable to you. Once you have whittled down your favourite and essential items, it is time to say goodbye to all your junk and clutter. Depending on how much you have you may want to hire a skip or a removal service to come and take away all your excess items for you so you can focus on perfecting your new, revitalised home. If your house is full of old trinkets, furniture and general clutter it could be time for a house clearance or spring clean, ready for the summer months. 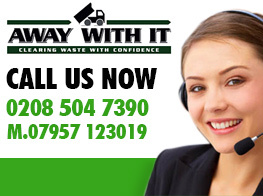 If you would like to find out about the House Clearance services on offer with Away With It Waste Removal, and how their efficient and friendly team could take a weight off your hands, simply give us a call on 0208 504 7390 or fill out our contact form here. House clearance and decluttering are popular topics at the moment; with TV shows such as The Hoarder Next Door and How Clean is your House? proving immensely popular. Getting rid of junk and clutter from your home is not only therapeutic, but it creates a far more pleasant home environment and can even add significant value to your home if you are looking to sell up. Plan: Yes, I know it sounds basic, but you’ll be surprised what a difference planning can make. If you’re afraid of letting stuff go, subconsciously prepare yourself by taking some time to write a list and organize your clutter. That way you can decide what really does need to be thrown away and what can be kept. You’ll be surprised how ruthless you can be! Love that clean space: This is an easy one, as it doesn’t actually involve throwing anything away. Designate a space you use every day that needs decluttering, give it a thorough tidy, take a step back and love that space. It’s a rewarding feeling, and you’ll soon learn to hate clutter! Would you buy it today: So much clutter is stuff bought ages ago that has just been sitting there unused and unloved for years. Take a look. So much clutter is old, broken, unloved and obsolete. If you saw it in a shop today, would you buy it? If the answer is no, it’s time to get rid. Get a fresh perspective: One of the greatest obstacles to decluttering is the sentimental value that can often get attached to even the most useless and mundane items. Get an outside perspective – invite a friend, colleague or neighbour over for a completely objective opinion. They will attach no sentimental value to your clutter, and can help you get rid of even your most cherished junk. Don’t keep it out of guilt: This is a really important one, as I know how hard it can be to get rid of that well-meaning gift from a friend or relative that you have just never used, and instead is just sitting there gathering dust and taking up space. If you’ve had it long enough to know you’re never going to use it, the chances are the person who got it for you probably isn’t going to care if you throw it away. Decluttering can be exhausting both mentally and physically, and this is where Away With It is your best friend. Once you’ve sorted out the bits you want to throw away, get the kettle on, put your feet up and give us a call on 0208 504 7390. Our House Clearance service is on hand to get rid of your clutter – we take everything from kitchen appliances to old books and videos, doing all the hard work and heavy lifting so you can sit back, relax and make the most of all that new space!